Notoriously known for his high-energy stage show, Comedian "REDBONE" has been ripping up clubs and colleges all across the country with his quick wit and unpredictable physical comedy. REDBONE''s greatest asset is his stage presence and versatility, being able to perform at Non urban mainstream comedy venues (COMEDY CENTRAL) to Urban comedy venues (BET''s "COMIC VIEW"). REDBONE likes to brand is comedy as "COLORBLIND" COMEDY were all races, creeds, and colors can enjoy his performance and walk away with a smile on his face. 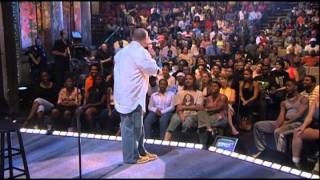 Hailing from Savannah, Georgia, he was brave enough to test his comedy routine in 1998 at Comedian Aikentunda''s Comedy Bash at age 24 as a bet from a friend and has not turned back since. Redbone won that bet and then some, now performing a steady schedule of comedy gigs around the country. A former Chevrolet car salesman, REDBONE is now tuning up audiences around the country and turning out an assembly line of demand and "BUZZ" around the entertainment industry.Redbone has been featured on BET''s "COMIC VIEW" since 1999. From UCLA to the University of Miami, REDBONE has been spreading COLOR BLIND COMEDY and LOVE throughout the country. REDBONE was recently cast in the motion picture "CRACKER JACK" that will hit the silver screen soon. "This Job is Great, to go around and make people laugh, The adrenaline just goes right through you. It''s hard being a BROTHER like me…"